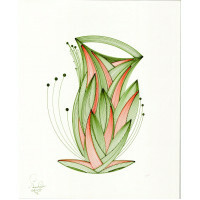 Drawings for sale direct from South Carolina artists. 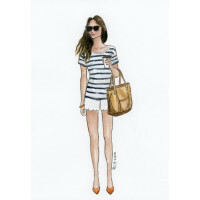 Original drawing. 20" x 30" Carbon, Graphite and Charcoal pencils on Illustration Board. 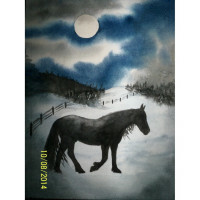 Framed (black metal frame) ..
A black Friesan horse crosses a snowy winter pasture under a large harvest moon. The moonlight reflects off the clouds to create a silvery setting to contrast with the horse with a black coat, flowing mane and tail and leg feathers. 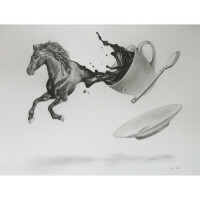 This..
"Afternoon Coffee" is an original 8" x 10" watercolor and pen illustration on 140lb paper by artist Rebecca Hinson. 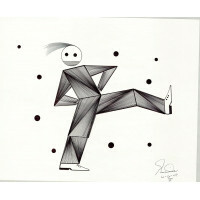 Optional 11" x 14" black frame. ..
#083 "Ali G" by artist Nathaniel "Goodie" Goodwin of Charleston, South Carolina. Original 14" x 17" pen on acid-free paper. 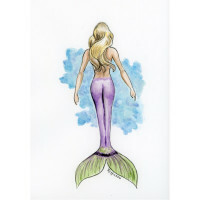 ..
An original 8" x 10" watercolor and pen illustration on 140lb paper. 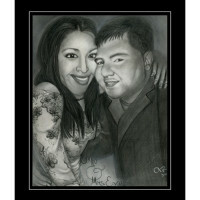 Matted in 11" x 14" black frame. 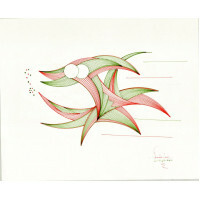 ..
An original 8" x 10" watercolor and pen illustration on 140lb paper. 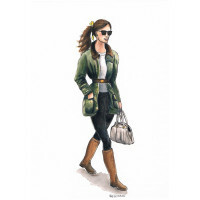 Matted in 11" x 14" black frame opitional .. This is an 18x24 charcoal portrait. 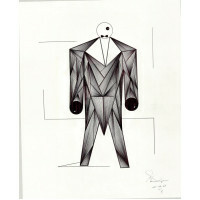 It is on Strathmore 400 series drawing paper. ..
22x24 charcoal portrait on strathmore 400 series paper ..
#004 "Axe Men" by artist Nathaniel "Goodie" Goodwin of Charleston, South Carolina. Original 14" x 17" pen on acid-free paper. 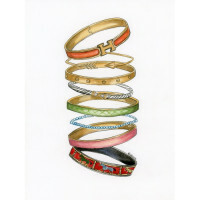 ..
"Bangle Party" is an original 8" x 10" watercolor and pen illustration on 140lb paper by artist Rebecca Hinson. 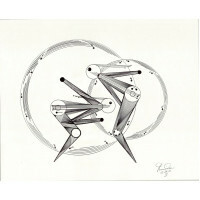 Optional 11" x 14" black frame. 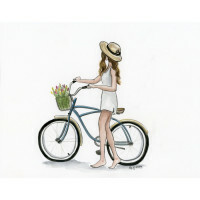 ..
An original 8" x 10" watercolor and pen illustration on 140lb paper. 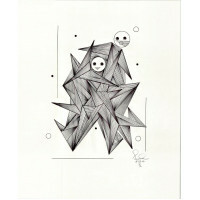 Opitional 11" x 14" black frame. ..
"Bird1" by Mary Peping, Mt. Pleasant, SC. 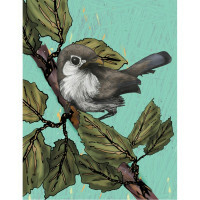 Hand drawn work, editited and colored on the computer, of a bird on a branch. 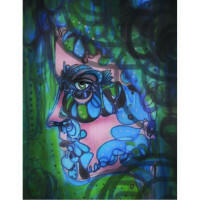 ..
"Blue Girl 1" by Mary Pepin, Mt. Pleasant, SC. Hand drawn and colored, then edited on the computer. Print. 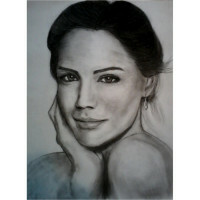 ..
11x14 Graphite and Charcoal Pencil on Acid Free Paper The artwork ships in a protective sleeve with a hand written note. Contact@artistamandarose.com for questions. 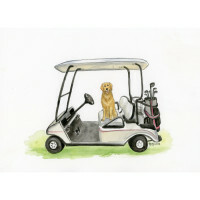 ..
Hello, I am a local fine artist who specializes in portraiture. 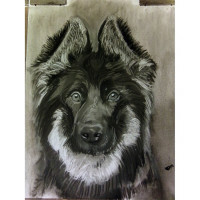 This listing is for a pet portrait charcoal drawing on fine art paper. 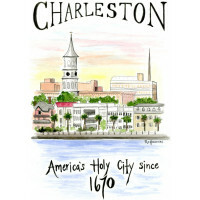 I work from photographs, either you can supply your own photos or I can meet in Charleston, SC to take m.. 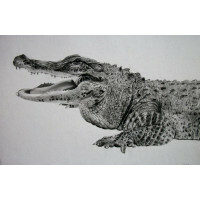 Original carbon pencil drawing on Bristol Smooth paper. .. The holding of ones partner is about as romantic as sexualality can get. 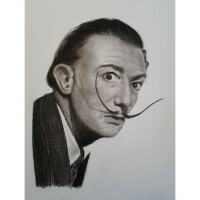 In this piece created from a photograph depicts a man close to his female partner. .. 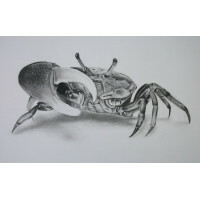 Original pencil drawing "Fiddler Crab" by local Artist Daniel Diehl in Charleston, SC. 16"x24". Carbon pencil on Strathmore drawing paper. Mailed unframed in a mailing tube. .. 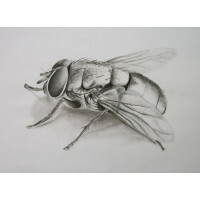 Original graphite and charcoal drawing "Fly" by local Artist Daniel Diehl in Charleston, SC. 18"x24". Graphite and Charcoal on Strathmore drawing paper. Shipped unframed in a mailing tube. 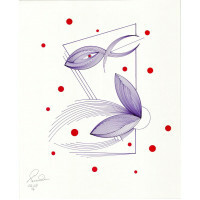 ..
An original 5"x7" watercolor and pen illustration on 140lb paper. Piece is matted in vintage 8"x10" gold frame. .. I saw these Icelandic Ponies being herded down the Ring Road in Iceland and captured them in all their fuzzy glory. 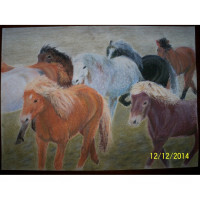 The ponies come in all colors as the painting represents. 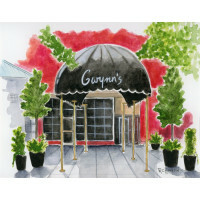 This is an 11x14 pastel painting. 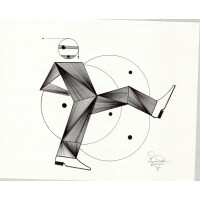 It can be double m..
#053 "In the Mix" by artist Nathaniel "Goodie" Goodwin of Charleston, South Carolina. Original 14" x 17" pen on acid-free paper. ..
#081 "Is What" by artist Nathaniel "Goodie" Goodwin of Charleston, South Carolina. Original 14" x 17" pen on acid-free paper. 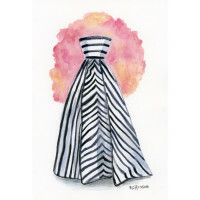 ..
An original 8"x10" watercolor and pen illustration on 140lb paper. 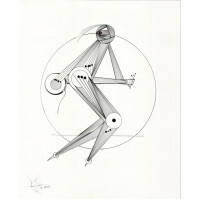 Piece can be matted with white matte and black 11"x14" frame for extra $25. 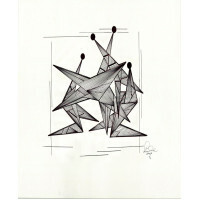 ..
An original 8" x 10" watercolor and pen illustration on 140lb paper. 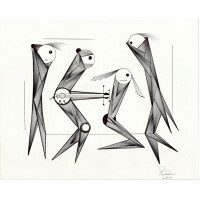 Opitional 11"x14" black frame. .. 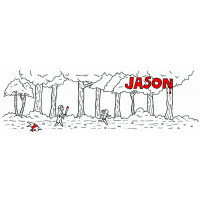 This is part 1 of a five part comic about Jason Vorrhees with ennui. The story follows Jason day by day through a month of his life has he decides whether or not he wants to stay in the horror game or retire and pursue other options. Horror fans w.. This is part two in a five part mini-comic series about Jason Voorhees with ennui. This slice of life comic follows Jason day by day through a month of his life as he decides whether or not to stay in the horror game or retire and pursue other opt..
#017 "Just For Kicks II" by artist Nathaniel "Goodie" Goodwin of Charleston, South Carolina. Original 14" x 17" pen on acid-free paper. ..
18x24 charcoal portrait on strathmore 400 series drawing paper ..
#086 "Knowing is Growing" by artist Nathaniel "Goodie" Goodwin of Charleston, South Carolina. Original 14" x 17" pen on acid-free paper. 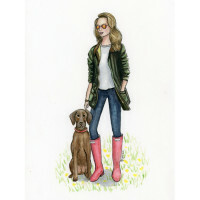 ..
Commission a custom original drawing on paper by local artist M Alcorn in Charleston, South Carolina. 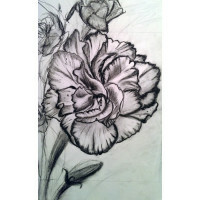 My sketches are done namely with Tombow Mono graphite pencils. 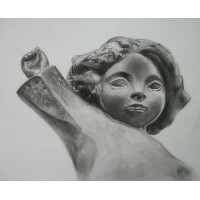 I normally sketch on a smooth or medium surface. I always apply a s..
#055 "Max Music" by artist Nathaniel "Goodie" Goodwin of Charleston, South Carolina. Original 14" x 17" pen on acid-free paper. ..
"Me and the Boys" by artist Nathaniel "Goodie" Goodwin of Charleston, South Carolina. Original 14" x 17" pen on acid-free paper. .. 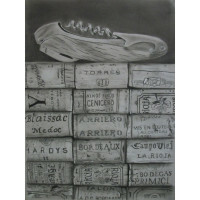 Original carbon, charcoal and graphite drawing "Mementos" by local Artist Daniel Diehl in Charleston, SC. 18"x24". Carbon, Graphite and Charcoal on Canson Grey drawing paper. Shipped unframed in a mailing tube. ..
#033 "Mr. Fish" by artist Nathaniel "Goodie" Goodwin of Charleston, South Carolina. Original 14" x 17" pen on acid-free paper. ..
#032 "Mrs. Flower Fish" by artist Nathaniel "Goodie" Goodwin of Charleston, South Carolina. Original 14" x 17" pen on acid-free paper. 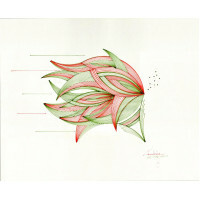 ..
An original 8"x10" watercolor and pen illustration on 140lb paper. 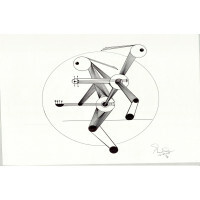 Opitional 11"x14" black frame. 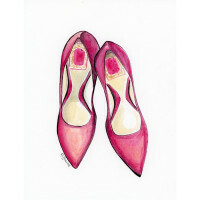 ..
"Pink Pumps" is an original 8" x 10" watercolor and pen illustration on 140lb paper by artist Rebecca Hinson. 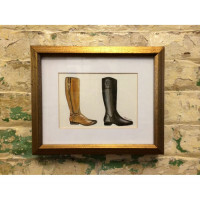 Framed in a vintage gold 8"x10" frame. 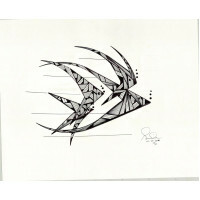 ..
#035 "Pisces" by artist Nathaniel "Goodie" Goodwin of Charleston, South Carolina. Original 14" x 17" pen on acid-free paper. ..
18" x 24" Carbon Pencil on paper. ..